Ingredients: Fresh chopped tomatoes, eggplants, extra virgin olive oil, sunflower oil, sugar, basil, salt, garlic. It may contain traces of cheese, nuts, fish, celery. 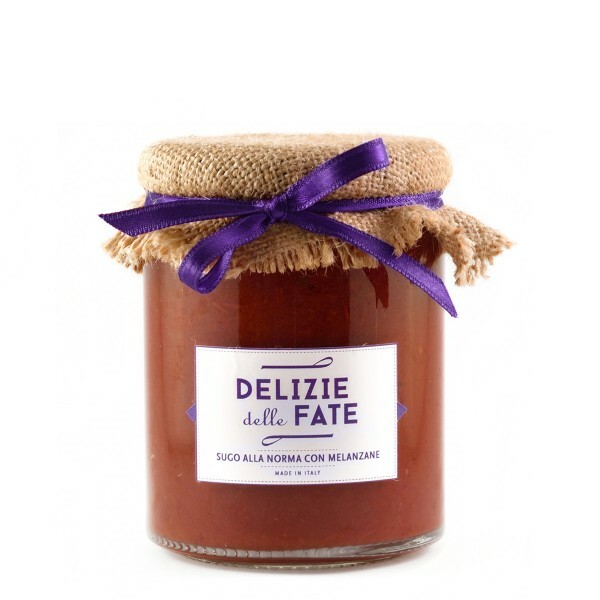 Description: Typical tomatoes and eggplants sauce of Sicilian tradition (Catania), ready to flavor and enhance the taste of your pasta! Made only with simple and genuine ingredients, handcrafted without colors or preservatives.